3D Printer Mini-Blitz Fundraiser. 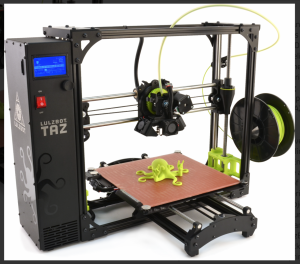 We want to purchase a new 3-D printer for our students and need your help! 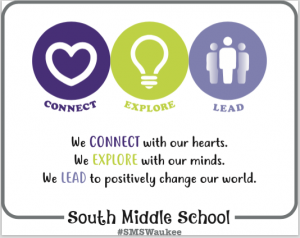 Over the next two days (Thursday & Friday), you or your child can bring a check or cash to SMS and give it to Mr. Kleinwolterink in the atrium before school. This is a tax-deductible donation! Please label the envelop with your child’s first and last name along with “3-D Printer for SMS“. You can also donate online anytime through Sunday (link below). Our goal is to raise $2,000 over the 4 days (only $3 per student!). This new 3-D printer that will allow for better quality printing, faster print times and cheaper printing for students/families. One example of how we are using the 3-D Printer is that all students in 7th grade Engineering class are designing keychains using Autodesk Inventor and then having the option to print one out in 3-D using our 3-D printer. Whether your child is in Engineering class right now, next semester or next year, this printer will be used by all to engage in problem solving and critical thinking skills. Why raise funds like this? Over the past 3 years at South, we have not done a building fundraiser as we know all of our feeder elementary buildings do large ones with their families (which many of you are a part of as well). Through input from our Parent Advisory Committee, we decided to instead begin to focus on identifying a need and then engage our families and community in helping us find funds for that specific need. We won’t ask for money unless we feel there is a need and do not have the allotted funds to meet that need. Over the course of the school year, we plan on doing 1-4 of these mini-blitz fundraisers and if you feel so inclined, please donate. If not now, maybe for the next mini-blitz item(s). Thank you for your support of our staff, students and building and helping us move toward our purpose! Will the students have the option to bring home their STL files so they can be printed at home for those who have 3d printer(s)? Good question! I’ll ask Mr. K to get back to you on that one.